How does “free access” work for our projects? This is a description of the process of “claiming” free access to board games, Cryptumcoins and shared profits. It’s simple and requires a minimum of data submission through our website. We are sound believers in the privacy of the transactions and we hold to anti-regulation principles, so we will not keep any personal information (excl. emails, as we still need to be able to notify you about upcoming claim or payment deadlines) for longer than we absolutely must. Cryptum tokens are based on the Ethereum blockchain, so they are connected to your Ethereum addresses. You can find more information about how to use ETH, BTC or even USD, EUR and other currencies to buy CRTM and information about their wallet requirements in the this manual. We decided to use very simple process based on “proof of ownership” claims. This means you can gain access to our games just by owning certain amount of Cryptum tokens: 25 for the first game, and more for subsequent games. Of course, you will be able to buy more tokens from exchanges if you don’t own enough, but we recommend to get 65 tokens during the crowdsale when they will be cheapest, as this will be enough to guarantee your access to all of the the currently announced 4 games and all of their expansions, as well as any other game we publish in between them. For a 100 you will get a lifetime subscription to our board games (check the tiers? here)! And this is only if you are after free board games, yon can always invest more because of the value of Cryptum, and we will have bonus system to stimulate larger investments. Any additional notes regarding the shipment. We will not declare them as gifts, but declared cost will = manufacturing cost so it will be much lower than MSRP, and we would try to use the same shipping partners we use for Kickstarter fulfillment, so games may be shipped from hubs in EU, USA, Canada, Australia and Asia. * Some reasonable country restrictions apply: for example, we would not ship to warzones, countries with civil unrest, or countries with proven bad delivery record. We will do our best to ship the games in a way that would create least amount of problems both for token owners and our team and partners. When the claim deadline is reached, we will check all submitted addresses and ship the games to all that fulfill the requirements (i.e. they own the required amount of tokens or more). You are not required to transfer your tokens anywhere, and you are not responsible for shipping charges. If you are unsure about the number of tokens to buy, please check the tiers? here. 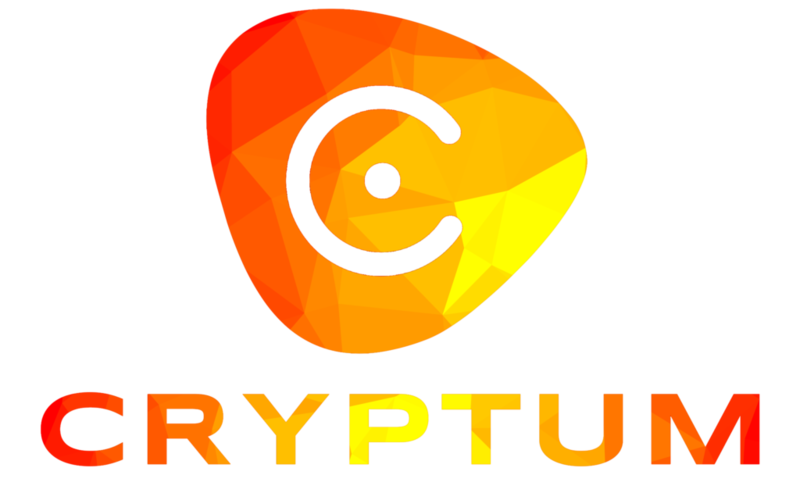 We strongly recommend buying 100 or more CRTM as this gives you access to every game we ever publish and feature we add to the Cryptum tokens. Fill in your Cryptumcoin receiving address. After the deadline we will check all submitted claims and distribute the respective amounts from the premine to token owners. If there are any unclaimed amounts, all of them will be distributed as airdops to the top 1000 coin owners. An agreement with most recent claim rules and conditions absolving us from any rights or obligations over what we transfer the ETH payment to your address. * Note that if you only own very small amount of tokens you should consider if the fee is equal or higher than the amount you’d receive based on the total number of tokens. We will include appropriate examples and warnings with every announcement. If the amount is lower than the threshold, please wait for the next claim period, we would accumulate the amounts and add any forfeit funds to the distribution. After the deadline we will check all submitted claims and distribute the proportional amounts of ETH based on the claims and the total number of Cryptum Tokens. Any unclaimed funds that are above the threshold, and there is bound to be some, will be considered forfeit and will be redistributed among people that used the claim process during the next round of transactions.